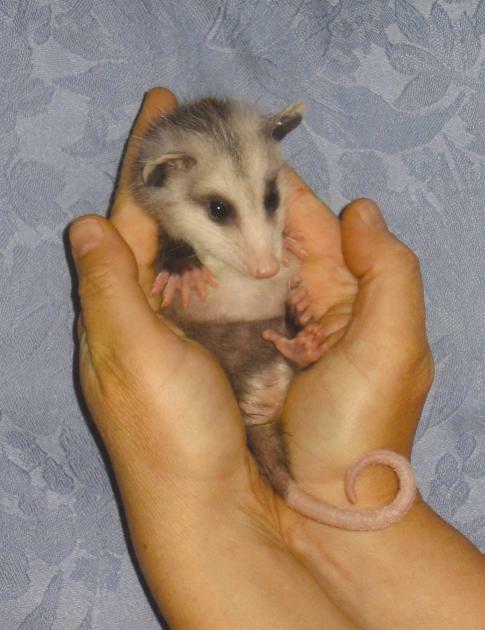 Opossums are thought by many to look like big rats because of their naked tail and "Mickey Mouse" ears. The opossums' white face is the give-away. Opossums favorite food is mice!